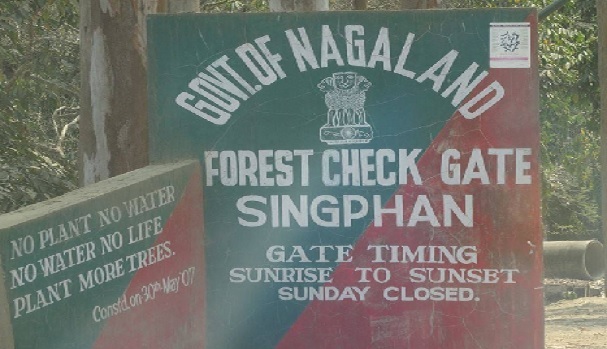 Nagaland government has declared Singphan Wildlife Sanctuary as Singphan Elephant Reserve with the approval of the union government on August 16. The Singphan Elephant Reserve is the 30th elephant reserve in India. It is the important Reserve in the Northeastern states as it is a huge tract of forest, strategically located in contiguity with the Abhaypur Reserve Forest of Assam, frequented by the moving herds of elephants. Nagaland is bounded by Assam in the North and west by Mayanmar and Arunachal Pradesh in the east and by Manipur in the south. The state is having lush green forests, rolling mountains, enchanting valleys, swift flowing streams and wonderful landscape. The altitude varies from 194 meters in the plains to 3058 meters in the hills. Elephant distribution habitat in the state of Nagaland is a continuous stretch starting from Peren district running all along the foothills north — westerly until it enters Tirap district of Arunachal Pradesh. In fact, the elephants were found in great numbers. This stretch which is a traditional elephant bearing area got broken at various points as a result of which only few elephants are found isolated pockets without having permanent corridor. The creation of Elephant Reserve will give better protection and conservation of elephants in the state. The Singphan Elephant Reserve is located in Mon district of Nagaland and spreads over an area of 5825 acres (2357 hac). It lies in the North-western part of the State of Nagaland. The declaration of the Singphan Elephant Reserve in Nagaland is expected to boost the elephant conservation in the country especially northeastern region. As per recent census report (2017) Nagaland has around 446 elephants. The creation of new Elephant Reserve will result in protection and conservation of the elephants.